At Plus Two, the makers of Presentia, we have been developing compelling Bid Presentations for over a decade – this article shares some of our learning and advice. – We receive a request for proposal (RFP) – almost always requiring a detailed response in a tight timescale – followed shortly thereafter by a Presentation. – We pull together a bid team. – The bid team works frantically to provide accurate answers to the plethora of questions asked. Hoping that many of the questions have already been answered in previous bids so they can simply cut and paste. – As the deadline for submission approaches the team put in increasingly long hours as they get things finalized and ready for the review / authorisation process. – You deliver the response to the RFP with minutes to spare. – The team collapse exhausted and retires for liquid refreshment! And only then do they turn their attention to the Presentation which is now only a few days away! So this becomes a rush job by a team that is already jaded. So what typically happens is that the vast majority of the quality effort goes into the RFP rather than the Presentation. My question is this – is this the best way to win the business? I fully accept that the time has to be spent on the RFP response as if you don’t provide a comprehensive response you won’t be in the game. However I’ve been in many Presentations where it’s abundantly clear that many in the audience have – how shall I put it – not read or perhaps more charitably not remembered the RFP response. Now I have some sympathy with them – these documents often run to many pages and are rather dry – so it’s very tempting to read the Executive Summary and the Costs section and leave it there! Generally speaking all the organizations short-listed are all capable of doing the job. Whilst you are normally required to respond to the RFP in a predefined structure this is not normally the case with the Presentation. So the Presentation gives you the opportunity to standout – ensure that your USP’s are clearly articulated – and start to establish relationships with the key people. Our key point is that the relative importance of the Presentation is often undervalued. We have helped many clients with Bid Presentations across a wide range of business sectors helping our clients secure multi million multi pound contracts. So we’ve gained huge amount of experience in what it takes to create compelling Presentations. Some time ago one of our clients was biding for a large 5-year contract worth close to £200m and along with 3 competitors was invited to present their proposal in 30 minutes (which seemed a ridiculously short time given the contract value). We created the Presentation for them and waited with bated breath to hear how it went. Turns out that they were with the client for 2 hours rather than the 30 minutes allocated – in part as they were so struck by the Presentation. This gave them the opportunity to get their key messages across and to bond with the client personnel. So the Presentation had clearly hit the mark. And yes they won the contract! Start the process of developing the Bid Presentation in parallel with the RFP response – don’t do it sequentially. This will certainly improve the quality of the Presentation but may well also help the RFP response. Think through early on in the process the key points you want to make which will differentiate you from the competition. Make sure that they are fully reflected in a consistent way in both the Presentation and the Proposal. In the Presentation make then very clear expressing them as a benefit to the client and don’t be afraid to repeat at the end of the Presentation as you close. At the outset determine clear responsibilities / budget for the development f the Presentation. Think through what the business is worth, the probability of winning it and consequently the level of resource you are prepared to commit. Give the Presentation a real visual WOW factor – use really high quality designers and use graphics in 2 and 3D to make it visually compelling and relevant – keeping text to a minimum. We often find that this resource isn’t available in-house – one reason that clients use us to support their Bid Presentations. This shows the prospective Client that you have made a real effort and aren’t simply trotting out your standard stuff. Do not use PowerPoint. Unfortunately people’s eyes tend glaze over when confronted with a PowerPoint Presentation; there is a good reason for the ‘Death by PowerPoint’ badge. Present in something different and you will immediately grab your audience’s attention. In the same way that you ‘cut and paste aspects of the RFP response it should be possible to do the same for the Presentation. This will keep costs down and help with getting the Presentation ready in time. Make sure that you are able to leave / distribute / make available soft and hard versions. Sometimes key influencers and even decision makers may not be at the Presentation. If you would like some help with your next bid why not give us a call on 0203 239 2422 – you have nothing to lose but plenty to win! In business most of us at some point in our career ends up making presentations – for some business roles like Sales it’s a regular occurrence. Some Presentations are very formal others are more informal and interactive – closer to a structured fireside chat. But they are all about helping to communicate information in a way that positively informs and influences the recipients. The first is principally a ‘one way’ communication. For example a presentation by the Chairman at a company AGM informing analysts / shareholders in how the business is performing. In this situation the path through the presentation is linear – starting at slide 1 and progressing through to the end slide. This form of presentation is about transmitting information and does not in itself allow for relationship building. In this particular context this would be more down to the Q/A session at the end of the presentation. The second is ‘two-way’ where the objective is to use the presentation as an aid to structure something closer to a conversation. Many sales situations take this form. The salesperson may have a limited understanding of the customer’s requirement, and is using the opportunity to establish what mutual areas of interest exist and is also seeking to build or consolidate the relationship. To facilitate this meeting (in person or virtual) the salesperson may well have put together a presentation based upon their understanding. But recognize that course of the meeting needs to define sequencing of the slides as areas of interest become apparent. Indeed it may well be that an area of interest isn’t even covered in the deck. So there may be a need to pull in other presentation material. PowerPoint in spite of it’s moniker ‘Death by..’ is like it or not the tool that most people use for business presentations. However PowerPoint is hardly inspiring for ‘one way’ communications but for ‘two way’ it simply doesn’t get near the mark. So when we created Presentia our Presentation Management Tool – as the alternative to PowerPoint – we focused on the needs of Business Users and looked to create a tool that worked for all types of Presentations. – move in an elegant non linear way through your presentation. Simply dropping into more detail on a particular subject as required. – have all your Presentations at your fingertips so that you can seamlessly switch into another presentation as the situation requires it with sophisticated keyword searching facilities to quickly get to specific content. – quickly and simply build a customized deck from existing presentations adding in new slides consistently where required so that the pitch to the customer or prospect is fine tuned. In essence a tool that has the all flexibility that Sales people need. Visual storytelling for business presentations is a technique most sales people ignore when they create huge presentation decks of bulleted slides. 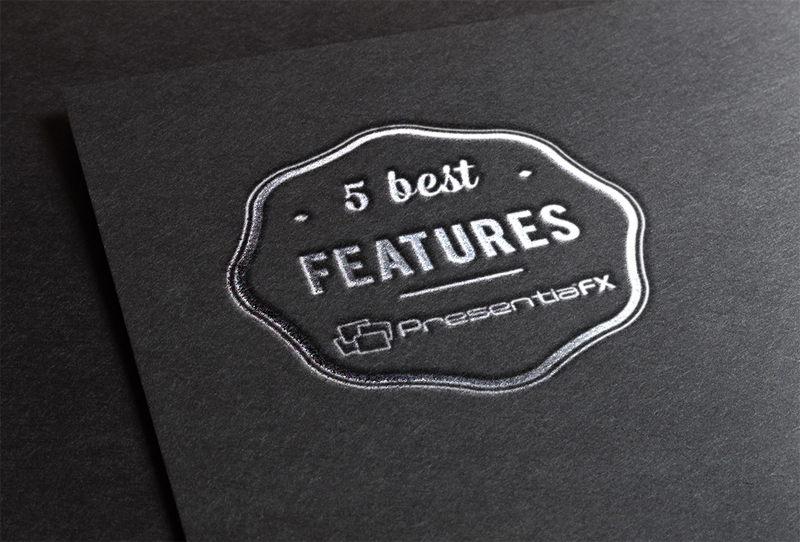 The following recommendations by our Presentation Design Crew will help you create more effective sales presentations. What should the first steps be when creating a sales presentation? Always start with a high-level outline of what you want to cover in a Word doc or using Post-it notes on a wall. You need to build a good structure first that you are happy with before worrying about the design details, layouts and transitions etc. Think about your close. What do you want the presentation to achieve? What do you want your prospect to take away from this meeting? What are the key points you want them to remember? If you begin with the end slide you can build everything towards those key points…. Oh and don’t leave them with more than three to think about if you want them to remember you and your sales pitch! What’s a great way to open a presentation? Start with a question! Start with the focus on them not you. They want to know what is in it for them right from the outset… not the history of your company….not how big you are! How do I grab their attention? Create a hook for your presentations. What’s your main point? Your big idea? Try to boil it down to one catchy sentence and position it right at the top of your sales presentations and keep repeating it throughout so it hammers home without being too obvious. Refer back to it to reinforce various points throughout your presentation. What is the best structure for my presentation? As a good rule of thumb presentations should consist of three sections. Make sure in the middle section you cover the meat on the bones ie key points, case studies, research data. This section needs to lead your prospect from awareness to activation. Create variety throughout such as market statistics backed up with case studies, photos with text and video stings to add interest. It’s very important to close your presentation on a high note. Ensure you summarise your offer/proposition for your prospective client and include a specific call to action. Be specific and they should be interested enough to want to know what’s next. When you are happy with your structure and only then you can consider building the visuals to bring the talking points alive throughout. Presentations are as much about what you say as what you show. Clarifying a good structure in writing will help inform the visuals to support what you say. Make sure each slide works for you, supplementing what you are saying rather than just duplicating your talking points. Most sales people must adhere to their company’s brand guidelines and templates. In reality that isn’t always the case! However consistency is key in the way presentations are delivered so there is merit in sticking to you company guidelines as this ensures familiarity with you brand when they look at other collateral such as brochures, websites, proposal documents etc. 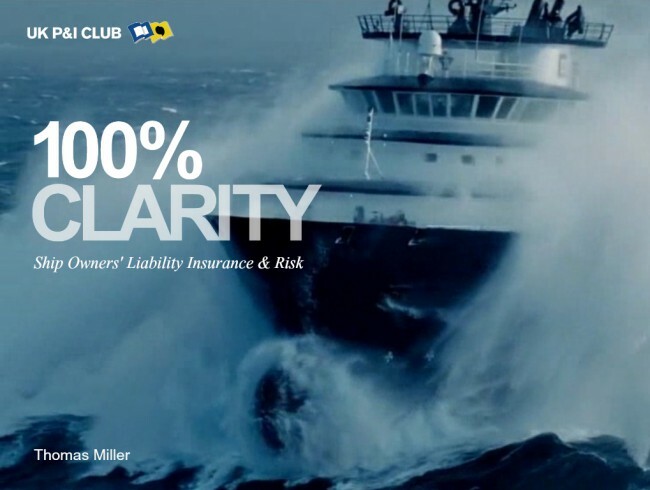 How do I creatively work within our brand constraints when creating a presentation? Sometimes consistency is a good thing. Company fonts, colours, and the templates are set. This gives you the opportunity to focus on the story and less on the design. Nobody bought a product or service purely on the look of the sales persons Powerpoint slides afterall! Newspapers and magazines have a consistent template each month so what makes each issue different? They add engagement through a really catchy headline, dramatic photos and great relevant content. Within a corporate presentation template, your creativity comes from your content. The case study stories you tell, the business language you use, and the impact of the images you choose. Look at how simple you can make your bullet points – less is more honestly. How catchy can you make the headings and hook? Grab attention with surprising relevant statistics and data sharing. Shake things up a bit! Keep it simple. Use big, full-frame images and keep text to a minimum for the best impact. In terms of composition, try to limit the elements on the page to between 3 and 5. Sometimes just a big headline is enough to convey your point. Don’t be tempted to fill the page with data to show how what experts you are in your field – this approach turns off prospects very quickly. Think hard about the idea you’re trying to convey with that particular slide. Use a simple chart that has some visual element to it – not just the numbers. Sometimes, the exact numbers aren’t important and the more important point is the story, the trends, the sentiment. Simple icons and infographics illustrate a point effectively. Use a smaller icon for the smaller stat, followed by a larger icon to illustrate growth. That tells your story visually without spelling it out over lots of bullets! In summary if you can tell your story simply, with less information, that’s often the most effective way to go for your sales presentations. 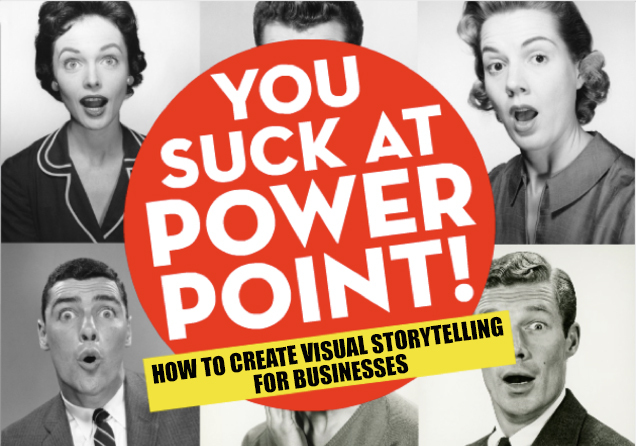 Two great books on presentation structure and storytelling are As We Speak: How to Make Your Point and Have It Stick, by Peter Meyers and Shann Nix, and Resonate: Present Visual Stories that Transform Audiences by Nancy Duarte. Delivering a presentation as a salesperson requires a unique and specific approach. Unlike traditional presentations, you’re requesting more than just time and consideration from your audience. The goal of a sales meeting is to convert your prospect into a customer or client, which can be a lot more challenging that simply informing or entertaining your audience. 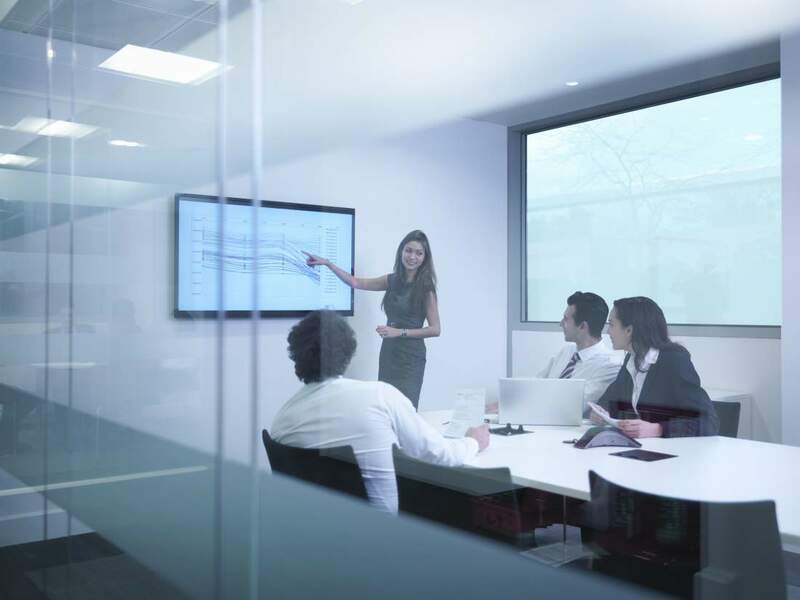 With the many challenges involved in delivering a sales presentation, it’s important to learn the basics of delivering presentations that are persuasive and successful. When trying to persuade people to make a purchase, it’s important that you are able to maintain the audience’s interest and attention for the duration of your presentation. To do this, try and deliver your pitch in as short a time as possible. The average adult attention span is just five minutes, and so if possible try and keep your presentation as close to this time as you can. If delivering your presentation in less than five minutes is not an option, try to be as concise and succinct as possible to avoid losing the attention of your audience. 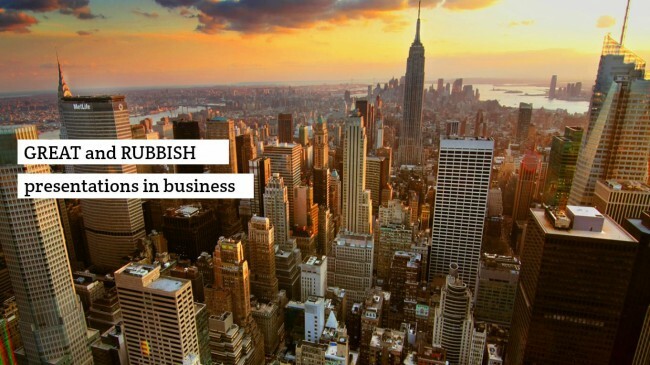 When delivering your presentation, try to focus on one clear message that your audience will remember. This will also allow you to make the overall sales pitch more succinct, and ensure that your audience remain engaged. To summarise your presentation in one sentence, ask yourself what message you want to leave with your audience as a key takeaway. Using your summary sentence you can then craft your presentation so you have a maximum of three points supporting your overarching message. Most people can only remember three key points from any presentation, so use statistics and stories to develop your key message along with three main supporting ideas. Identifying a core message will allow you to more effectively deliver a concise pitch. Once you have delivered your concise and engaging presentation, the next step in your sales pitch is to close the deal. If you’re not able to close the sale there and then, end your presentation by asking your audience to commit to a next step that will move forward with the sale. People are more likely to follow through with an action if they have previously agreed to do so. To enhance your next sales presentation remember to keep your content concise, have a clear message and close the sale with a commitment. Presentia sales presentation software provides an innovative solution that engages and excites your audience. Presentia can help you deliver clear and persuasive sales presentations to win new business. Most of us have experienced the two extreme ends of the business presentation spectrum, from being sent to sleep by the monotone drawl of a disinterested speaker, to being captivated by the energy and poise of a confider speaker. We’ve taken a look at the most common pitfalls of delivering a presentation, and offer our advice on how to avoid them and deliver a professional presentation every time. Rehearsals and preparation are vital when it comes to sounding and looking confident in a presentation situation. Plenty of practice on a willing audience will allow you to rehearse any potential curveball questions and allow you to practice regaining your composure if you receive a difficult or unsuspected question. While preparing and perfecting your presentation is vital, all of your hard work will be lost if you enter the room looking nervous and uncomfortable. This will only reflect on to your audience and can destabilise your offering even before you’ve started. Positive and confident body language can help to build trust with your audience and reinforce what you’re saying. As with all presentation skills, positive body language can be practised and honed. Key areas to focus on are good eye contact, natural smiles, a good posture and open gestures. Often, one of the most important aspects of your presentation is you. Marketing yourself, your skills and your personality during your presentation will help to demonstrate your knowledge and expertise, along with connecting you with your audience. If done well, presentations give you the opportunity to make a positive impact on your audience and deliver your message effectively. If you fail to make the right impression on your audience you risk being forgotten and your message lost. To make your presentation memorable try developing a theme to provide you with a thread on which your messages can hang. A theme is a great to make your presentation unique and provides a memorable structure to your talk that prevents you from going off on a tangent or bringing in irrelevant facts. Sometimes the most challenging part of presenting to an audience is having to deal with the Q&A portion of your talk. Once the presentation itself is over it can be easy to lose composure, and a great pitch can quickly unravel. Difficult questions are often designed to fully understand your proposition, and so by retaining your composure and keeping calm, responding to these questions shouldn’t be a challenge. Before delivering your presentation you should already be aware of the majority of the questions likely to be posed based on your preparation and planning. Seasoned presenters will have suffered an awkward moment on more than one occasion when something goes wrong. For the majority of instances these problems or mistakes can be reduced or prevented entirely with some forward planning and preparation. By understanding your audience, ensuring that all of your equipment works correctly, and being clear on the content in your slides you can help to reduce to opportunities for anything to go wrong. If, despite all of your preparation and planning something still goes wrong, the key is to remain calm to achieve a good recovery. Retaining your composure and a sense of humour will help you to avoid most of the pitfalls of delivering a presentation. A good recovery can be just as influential as a great pitch. Great presentation skills do not come naturally but with practise can be learnt. Mastering the skills required to present successfully will also serve you well in other areas of your life and by following the above advice, presentations may even become something that you enjoy rather than endure. 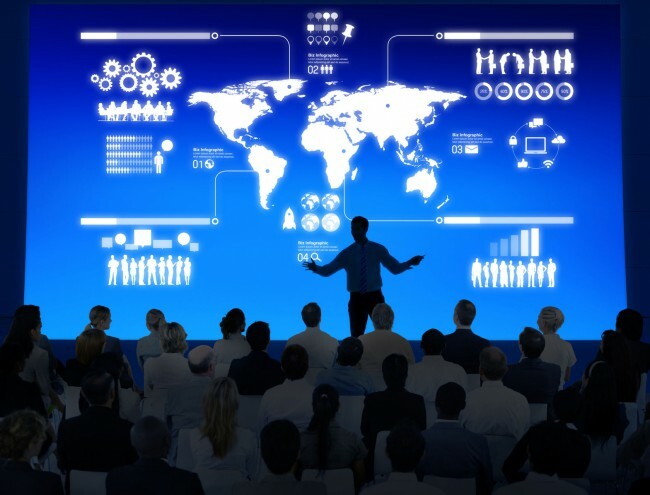 In addition to developing your presenting skills, Presentia presentation software provides you with the tools to create professional looking slides to support and enhance your overall presenting experience. Have you ever been in a hurry to locate old presentations or specific slides to create a new presentation? In Presentia you can store a whole library of all your presentations and associated assets, filed and securely backed up all in one place. This makes locating and combining content a doddle! Customise your presentation and add links to other slides or content with the Hotspot feature. The feature allows you to create website style navigation buttons to make your presentation more dynamic and allow you to take a more fluid path through the content. Presentia comes with a selection of custom-created transitions that you can apply to various content elements throughout the presentation. These transitions are designed to add depth to your slides and highlight important information to the audience. Transitions can easily make the difference between your audience falling asleep or engaging with your content. Have you ever spent hours on a great presentation just to have the meeting get cancelled? You can share your presentation quickly and easily via email simply by exporting it to the web and sending a standalone link to the content. And sharing content with members of your team is just as easy. Share whole slide decks directly within the app for colleagues to download next time they log in. 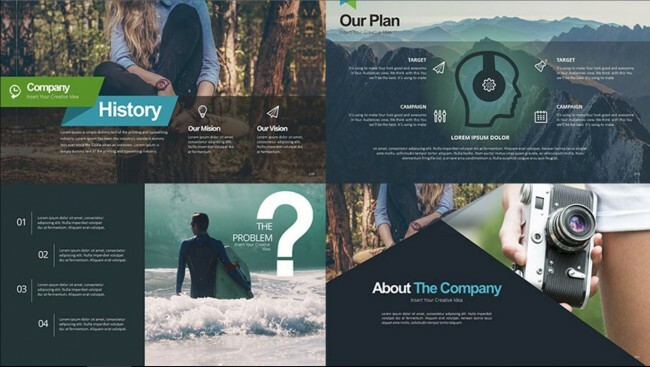 The templates feature within Presentia allows you to create impressive slides, whilst ensuring consistency throughout your sales or marketing teams. Slides can be locked down to ensure Brand Guidelines are adhered to, and that only the correct font, colour and assets are available to choose from. In addition to maintaining on-brand content, this also allows users to create amazing looking slides with no previous design experience. Even if you are a single user, templates can be set up to ensure that your presentations are quick and easy to create from slides you have already designed. For many of us the prospect of presenting to a room full of people is more than just a little daunting, and yet in the business world few things are more important. Delivering a great presentation could make all the difference when it comes to winning new business, although public speaking is not a skill that comes naturally to everyone. 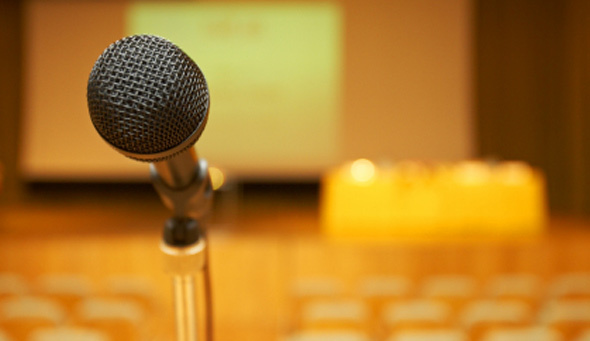 Take a look at what we think are the top 10 habits of great public speakers. Delivering a great presentation could make all the difference when it comes to winning new business, although public speaking is not a skill that comes naturally to everyone. Even the best, most seasoned speakers experience stage fright, but by working on good presenting habits you can overcome this and deliver presentations that engage, inspire and persuade your audience. Presenting in front of a room full of people is a nerve-wracking experience and accepting this is crucial to overcoming your stage fright. Remind yourself that everyone experiences these nerves on occasion, and it’s ok to feel this way. Delivering a presentation does not need to be a grand performance – treat it more like a conversation with your audience. Great presenters are always focused on their audience and not on themselves. How you make your audience feel and the messages that you leave with them are what’s important, and should be where your focus is placed. If you’re nervous ahead of delivering your presentation there is a danger of speaking quickly and veering off topic, worrying that you may forget something or get something wrong. Remember to take your time when presenting and only tell your audience what they need to know. Less is more! Use your time ahead of your presentation wisely. Familiarise yourself with your slides and practise your delivery until it becomes second nature. Not only will this improve your presentation, it will also give you confidence and help subdue any nerves. When it comes to the slides themselves, images are far more compelling than rows of plain text cluttering up the screen. Select striking, relevant imagery to compliment and support your key messages, and offer some much-needed variety to your slides. Well-chosen images are paramount in making your presentation stand out and your messages memorable. All of us have sat through our share of boring presentations on more than one occasion, forced to listen to dry content delivered at us, rather than discussed with us. By interacting with your audience you make the whole experience easier on everyone. Getting them involved in the conversation can be easily achieved by asking questions, building-in audience discussion or asking for their opinion with a simple raise of hands. Concise, compelling video content is always well-received by an audience. In a way that is difficult to do with just the spoken word, you can convey a message, evoke emotion and persuade an audience all with a short video clip. Videos are also a great way of bringing to life otherwise static and unappealing slides to command more attention from your audience. Audiences respond best to speakers who present with confidence and credibility in what they’re saying. Remember to demonstrate to the audience your expertise and knowledge in your particular topic, and be sure to establish the value in your message. As a presenter you should make it your business to befriend your audience. Establish the things you have in common, empathise with them, and listen to what they have to say. By treating your audience as friends you can develop a valuable connection that will allow you to deliver your message more effectively, and leave them feeling positive about your presentation. Persuading your audience to agree with your message is the Holy Grail for anyone delivering a presentation. Deliver your presentation in a way that delves into the underlying benefits for your audience, and be sure to tailor what you’re saying to them and their needs. Habits are routine actions, many of which are performed unconsciously by us on a daily basis. When it comes to delivering presentations, by working on developing these new habits you can transform your presentation skills forever. Here is a list of suggestions for what makes a GREAT presentation & what makes a RUBBISH one! • Too long or too short! • Repeats a point too often!! • Charts impossible to read! Today sales people have to deliver more sales presentations to prospective clients – more presentations, and better presentations, than ever before. As industries become more competitive and complex, customers have become both more confused and more demanding. As a result, they are likely to listen to a well crafted presentation but glaze over to a dull, boring ‘Powerpointy’ one! Why do Prospects Want To See Presentations? Making presentations in tools such as Powerpoint is about as much fun as a trip to the dentist. And looking and listening to them isn’t a much better. So why do prospective customers still expect them? Well the customer needs to compare services from various potential suppliers to make sure they buy the best value solution based on your point of difference and the value you can offer. Putting it simpler, they probably just need to compare costs and get the right information to make a decision – or pass on to the decision maker(s). Whatever their reasons, the presentation piece has become a common element for winning new business across the globe. Today, all sales professionals are expected to deliver engaging, persuasive and effective presentations that centre around the client’s needs. So What Goes Into a Winning Sales Presentation? Your objective in creating a presentation is to provide enough information for your prospects to make an excellent and persuasive case for them to buy your products or services. Sounds easy eh? If so then why do the huge majority of sales presentations start with the history of YOUR company!? Maybe the sales person creating the presentation thinks that the history of their company is so compelling and important that it will immediately persuade the prospect to buy? Erm….NO! And why also focus your whole deck of slides on your products/services too? What about how you can help the prospective new client solve a business headache they have or how you can help them plug a gap that is missing your product or solution today? When we demonstrate our Presentia presentation software to prospects the first thing we talk about is how they currently do their sales presentations before articulating how Presentia will help them with the issues they have today e.g. no brand control, average quality presentations being used that are not up to date and do not project their business in the best light etc. Effective sales presentations that win new business are customer-centric. Prospects buy your products or services because they have been searching for a solution to their urgent problem in their business. Show how you understand the prospect’s problem/business need. Your suggested approach to solve these issues delivering positive results for the client’s business. The compelling reason for them to select you rather than your competitor. Show how you can deliver to time & budget. The above four points are essential for any sales presentation. Everything you include in your slides must be focussed on one or more of these four points. Will we get what we need from this company? Can they really deliver it? Is this the best place to spend my valuable budget? Prospective new clients expect more today. You can’t give them a standard presentation – it needs to be personalised to them. We don’t just mean a title slide with their name and company logo on it either! You need to demonstrate what you have researched and learnt from previous engagements with them be that on the phone, online, in email, or face to face at credentials meetings. Share with them personalised insight and relevant content – not generic slides you have used for months/years. Where possible use the language of the customer/their sector throughout. What’s this? It’s how we judge future outcomes based on first impressions. Research into Primacy shows that it takes on average at least seven positive experiences to get over one negative one! So what does this mean for our sales presentations? Put content up front in your sales presentation that your prospect will care about the most. Understand the prospect and then build your presentation structure accordingly. Put that objective your prospect has at number on in your slide structure and then build everything else around how you are the best supplier to solve that objective. Want to get expert help in creating an effective pitch presentation for a large client opportunity? Give our presentation design team a call today on 0203 239 2422. Want to get away from handing out large proposal, pitchbooks, tender documents in sales meetings? Do your prospects always flick through to the meaty-money-bit and start questioning you whilst you’re still introducing yourself? 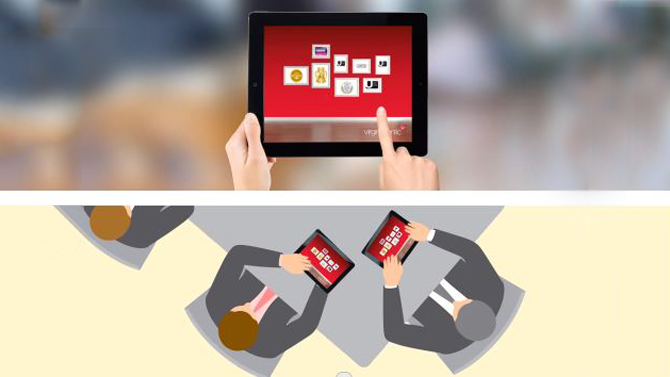 Now you can host your sales pitch in the room by handing out iPads/Tablets to your prospects and connecting them up over Wi-Fi or 3G and starting the slide share hosted session. The new Presentia hosting feature allows you to control the slides everyone is viewing in front of them. When you tap your iPad or advance on your laptop all the other iPads change with you. Click here to view a demo animation of the functionality. There is no need to plug-in to a projector, screen or to hand out printed documents (which are bad for the environment). Your prospects share your screen – you’re in control, broadcasting presentations to multiple ipads, keeping everyone on the same slide and they’re engaged with you. You have full control over the content that your prospects are seeing, and can lead them through the presentation at your pace without feeling the need to rush. When you change slides, interact with rich media content, link to a website, all the connected iPads change with you… instantly. Now you have the power, why not unleash some presentation control over your prospects today with Presentia. One client has embraced this new hosting feature so much they have ‘affectionately’ renamed it Master/Slave! Give us a call if you’d like to find out more about broadcasting presentations to multiple ipads, or if you’re interested in having a demo of our alternative to PowerPoint presentation software.